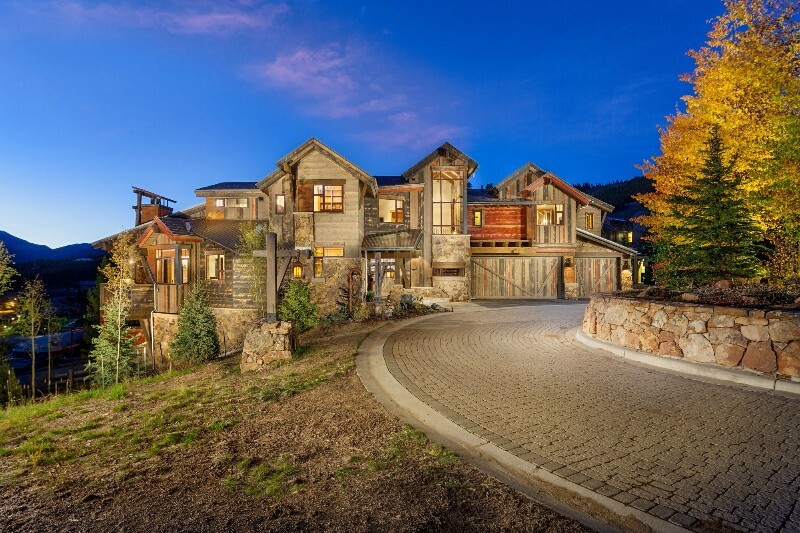 This stunning, custom-built home is sure to take your breath away as soon as you step in the front door. 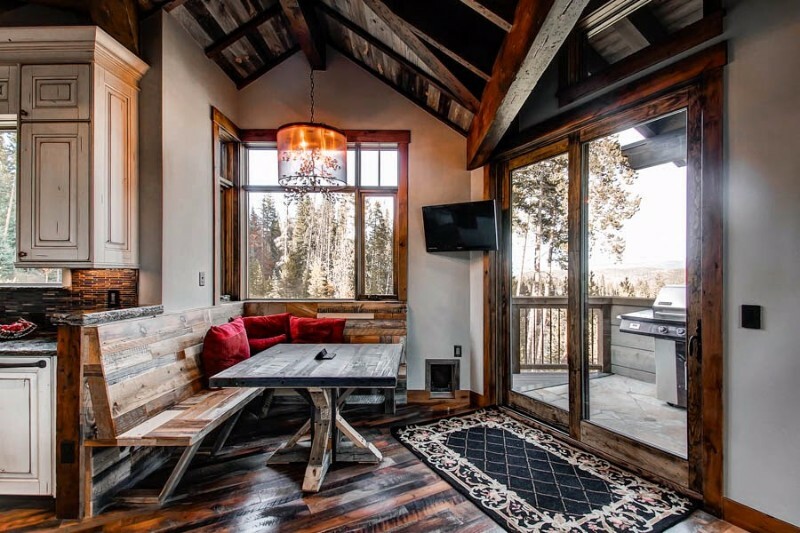 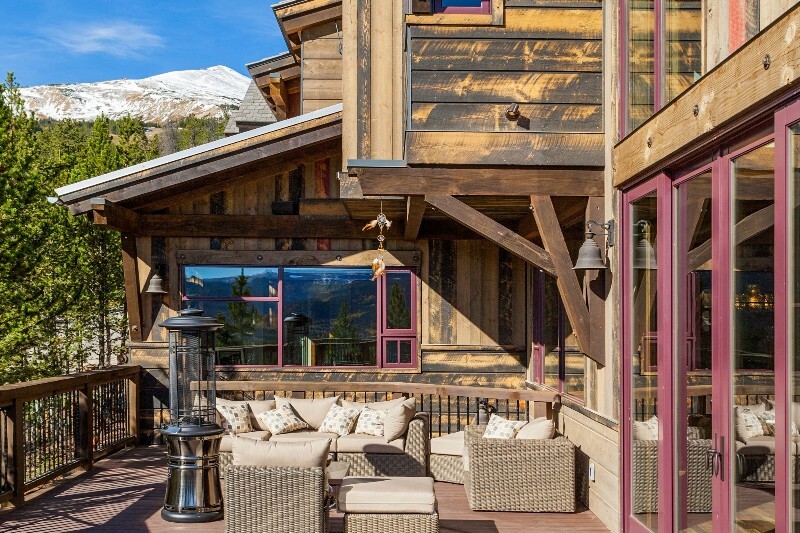 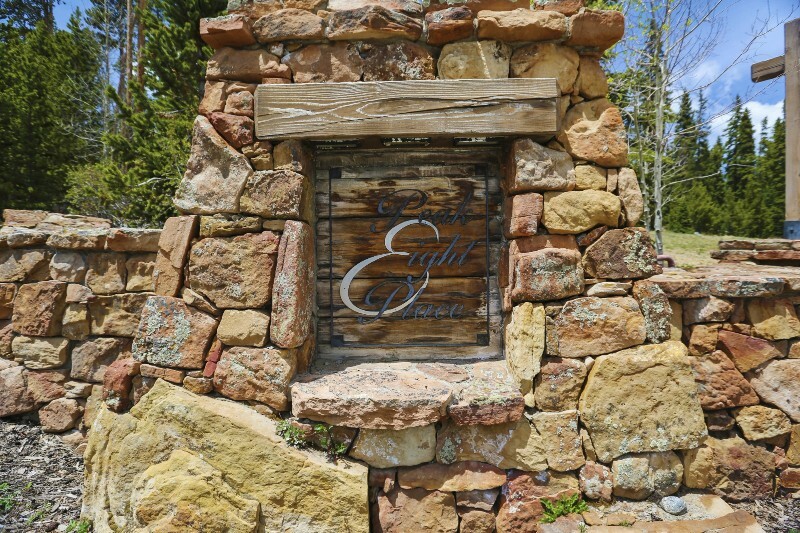 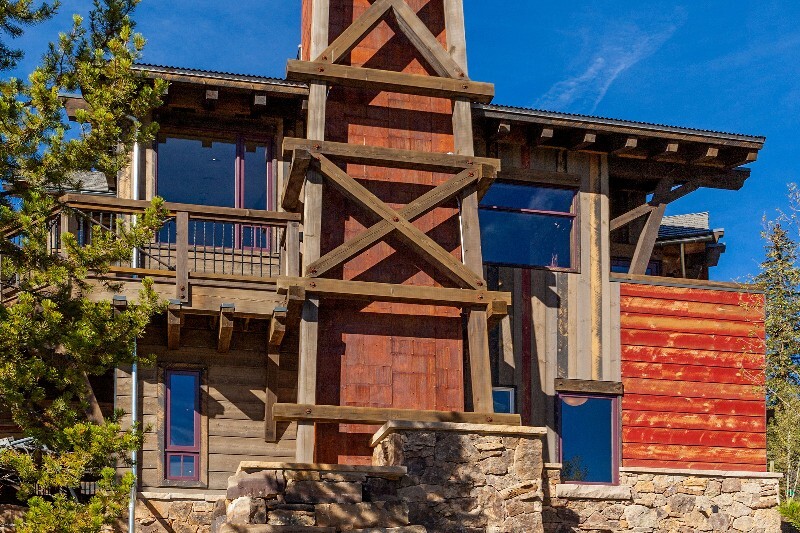 Even better, it’s located on Peak 8 with convenient ski-in/ski-out access and it’s the closes home to the Colorado and the Rock Mountain SuperChairs. 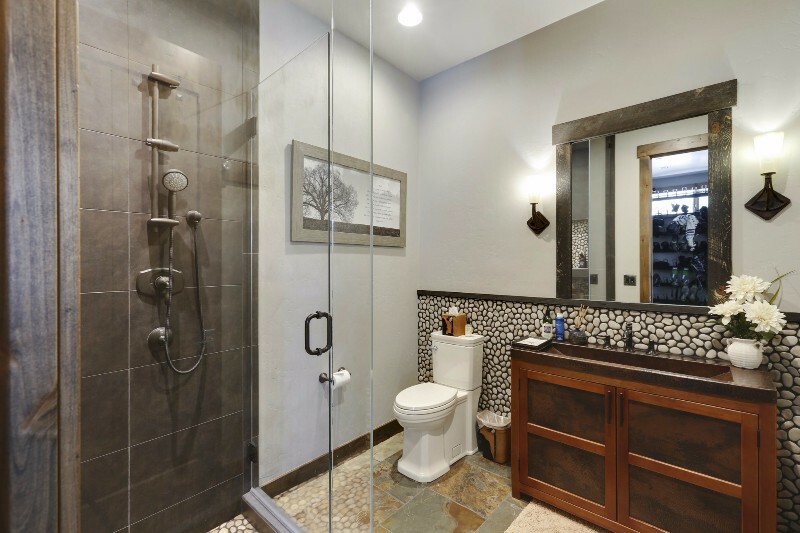 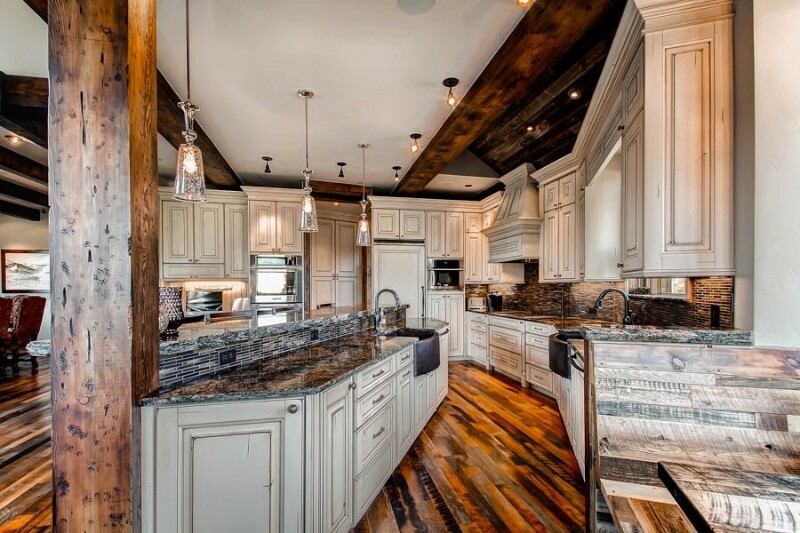 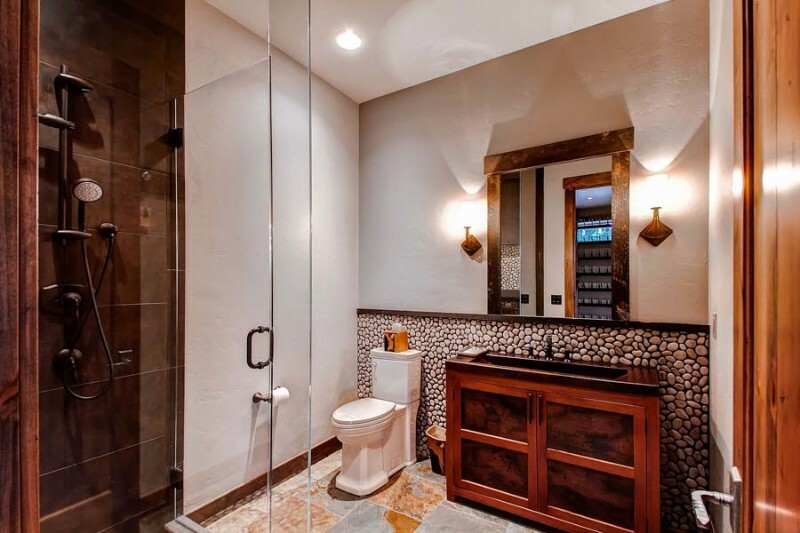 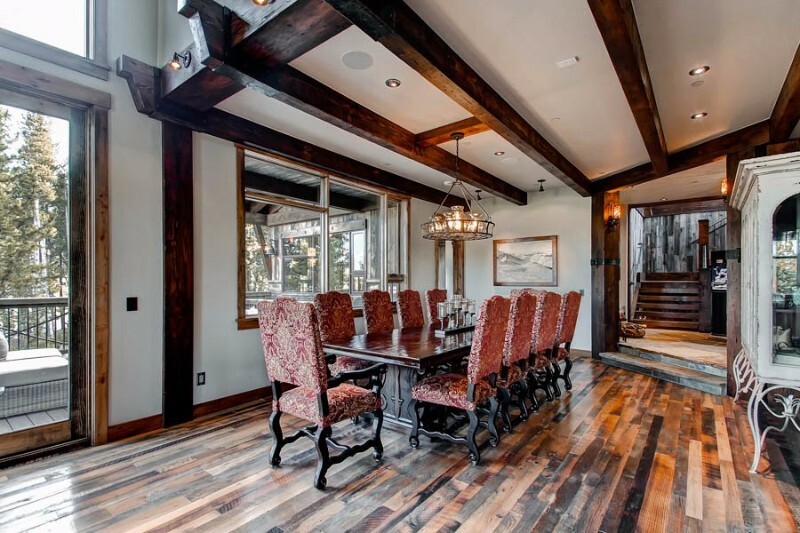 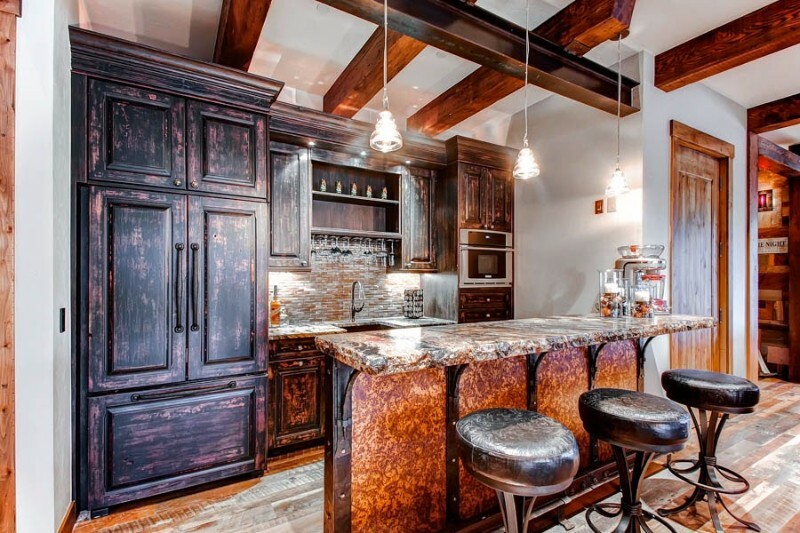 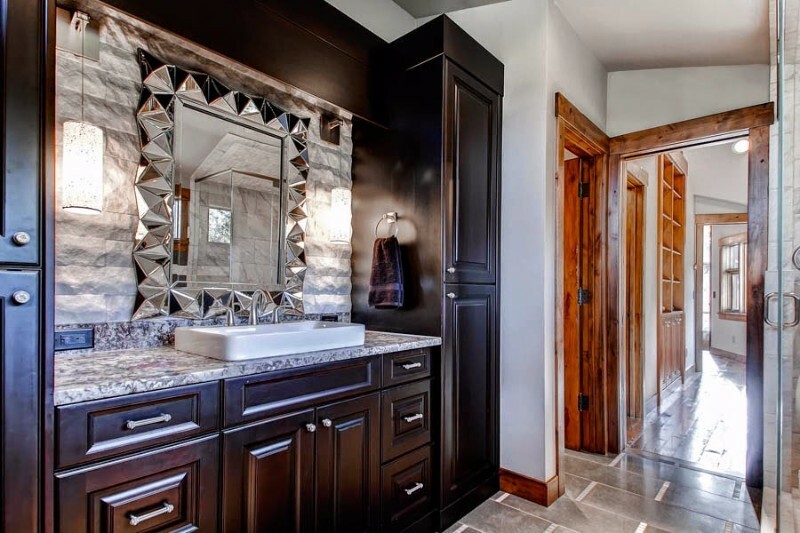 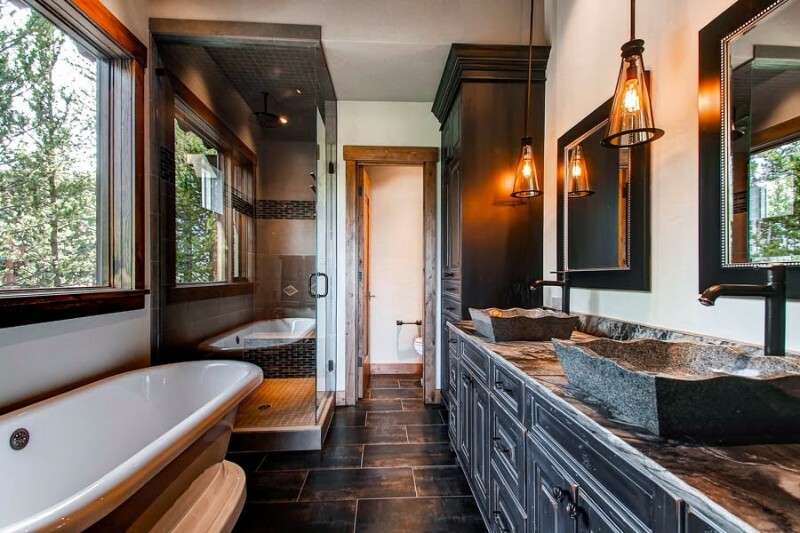 Inside the home, you’ll find only the finest furnishings, finishes, decor, and amenities. 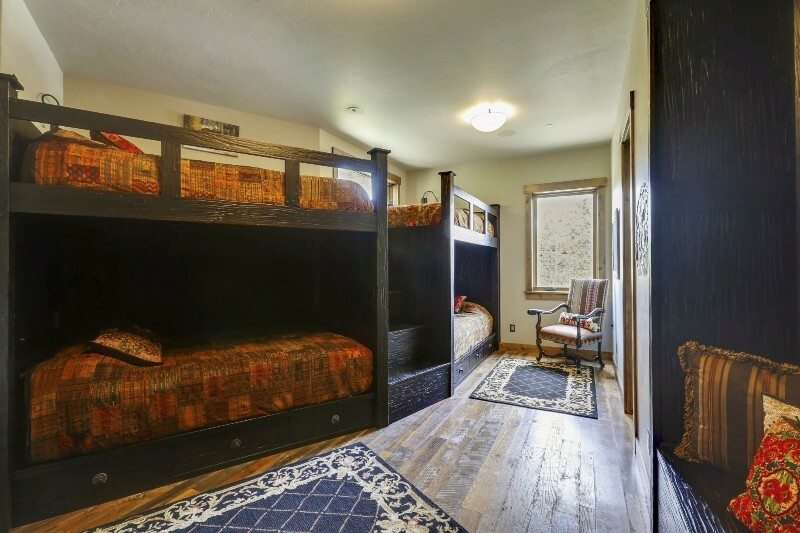 It’s been thoughtfully appointed to ensure that your vacation is unforgettable. 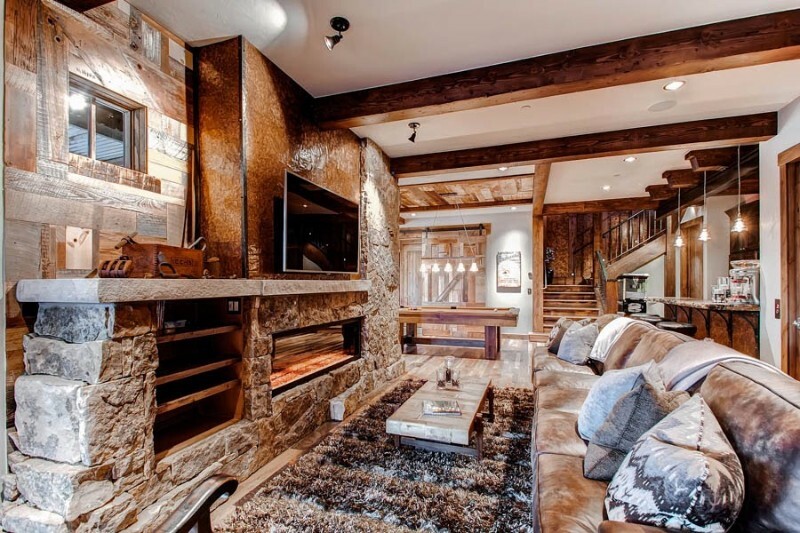 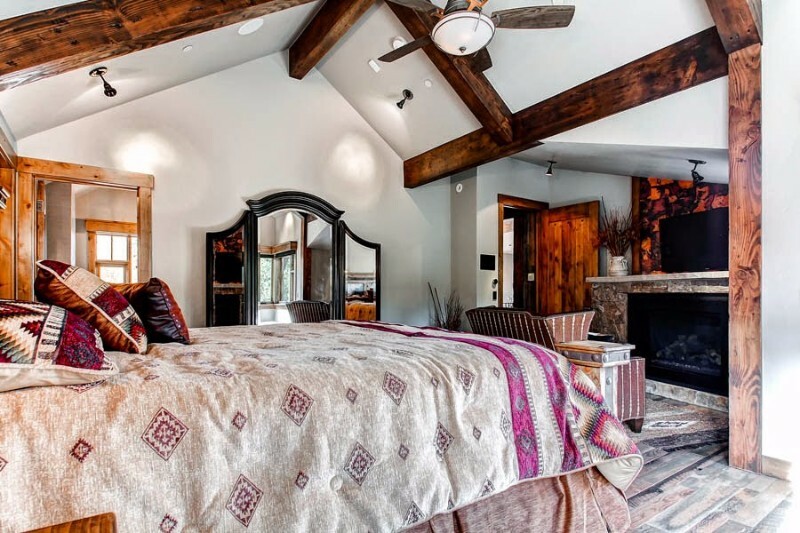 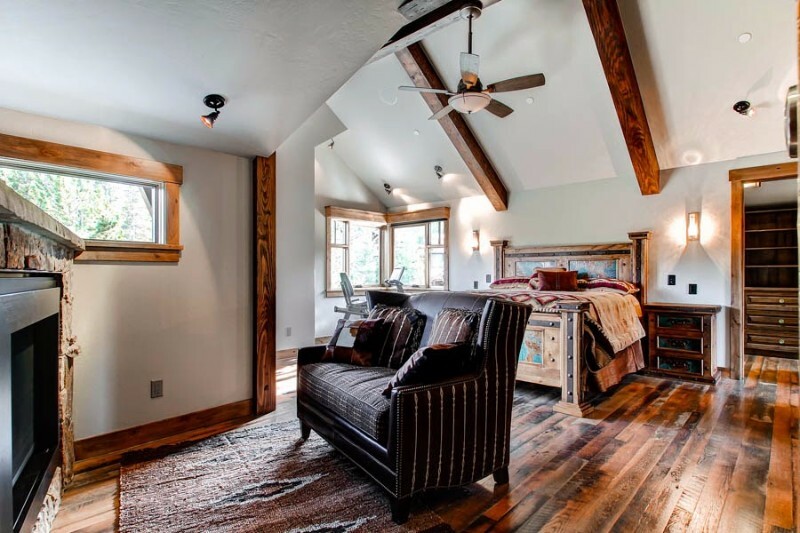 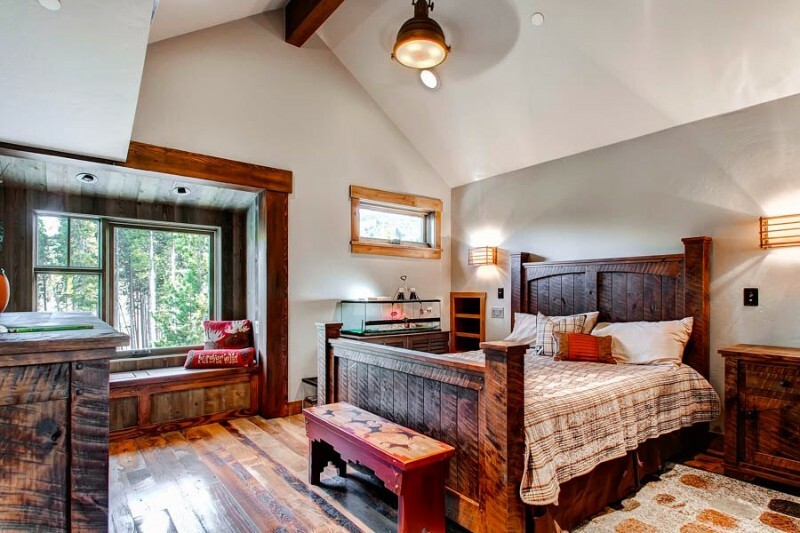 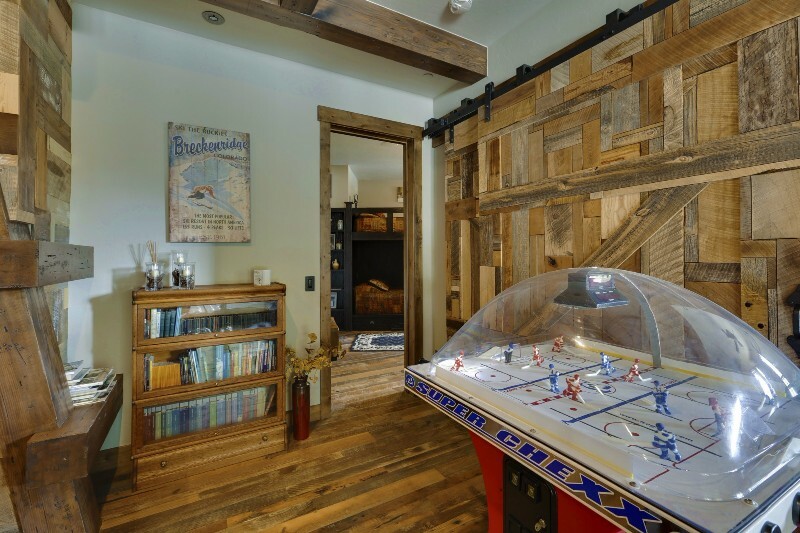 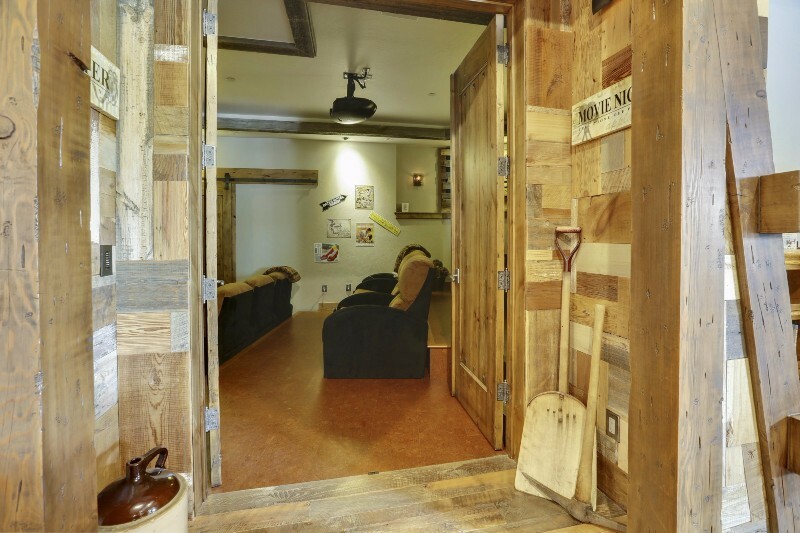 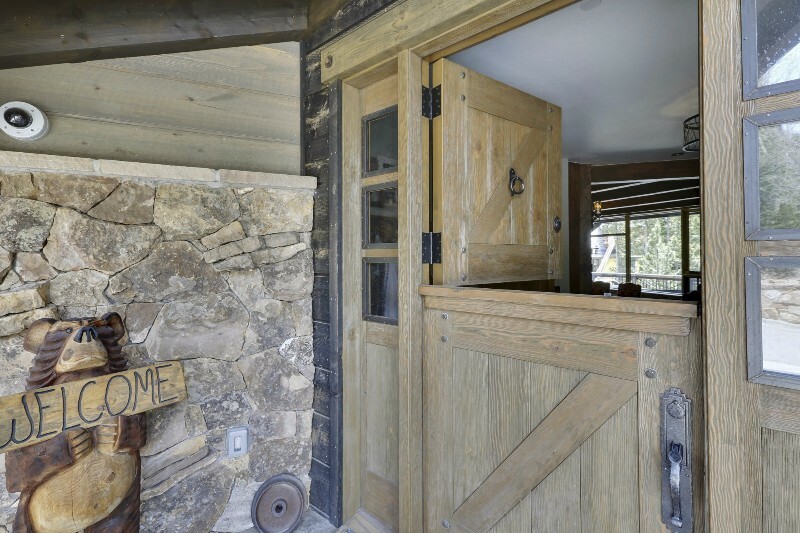 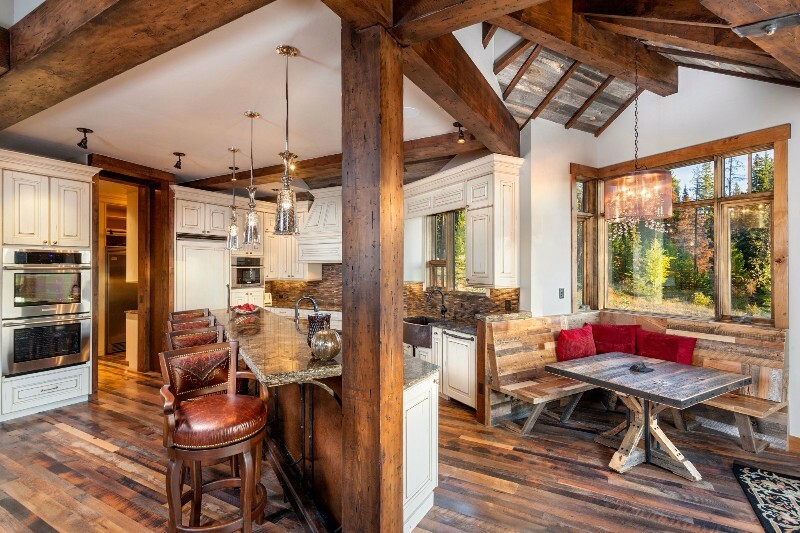 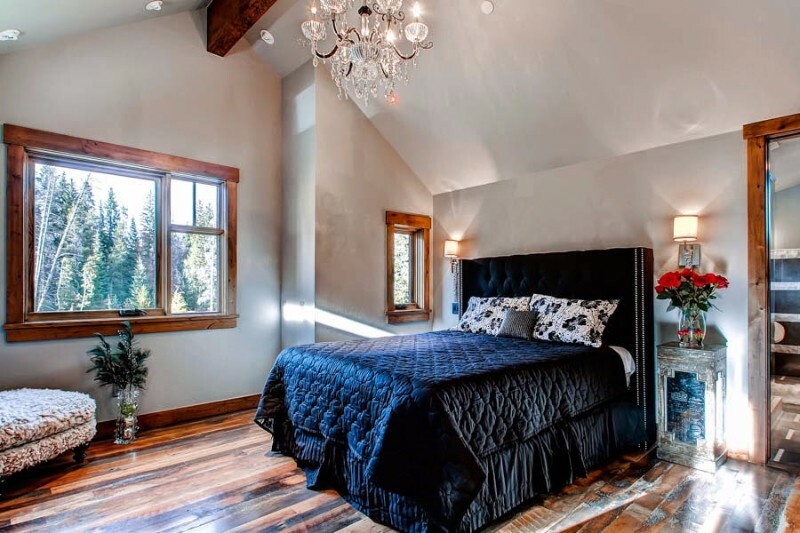 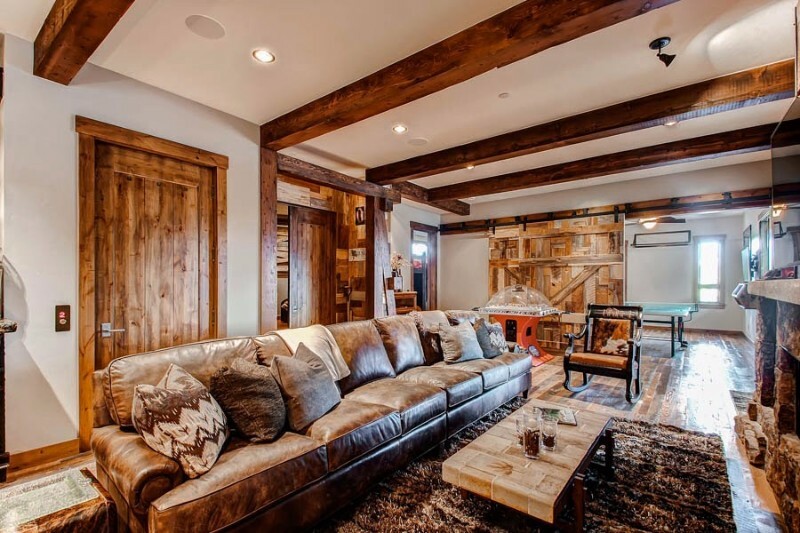 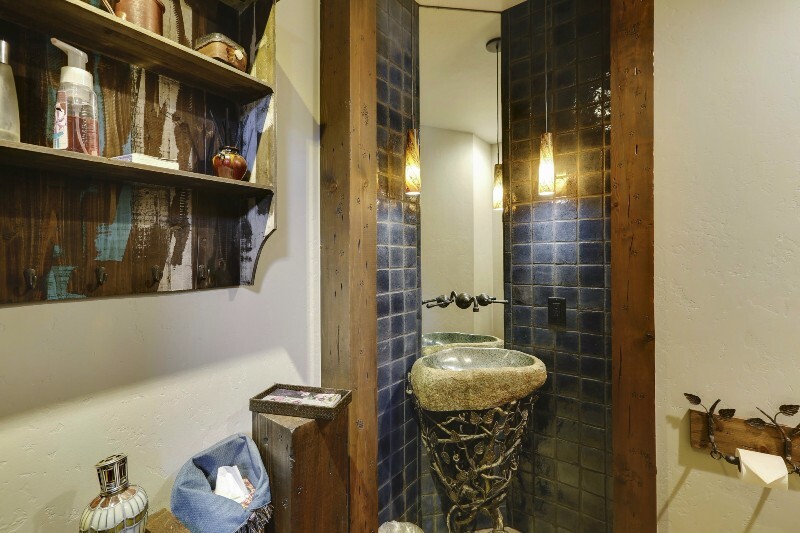 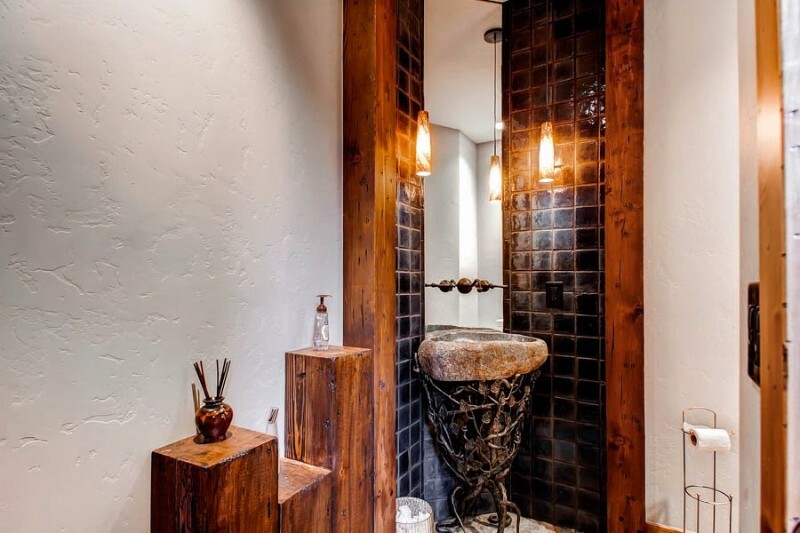 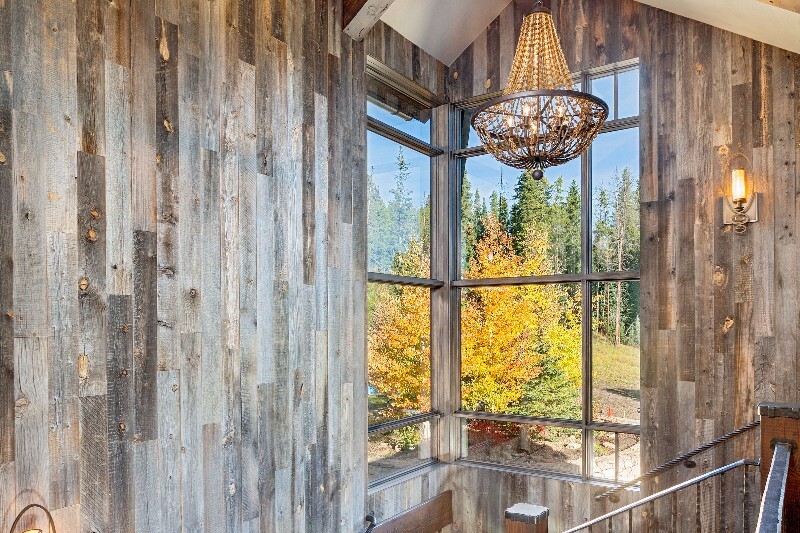 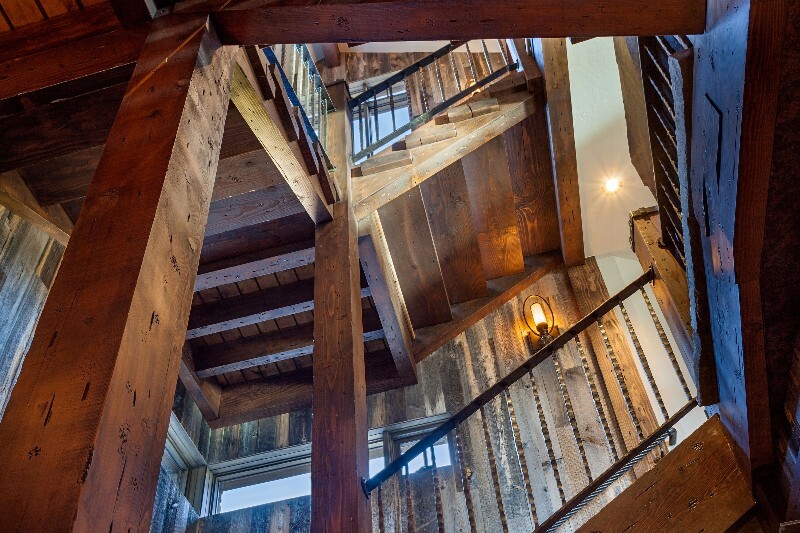 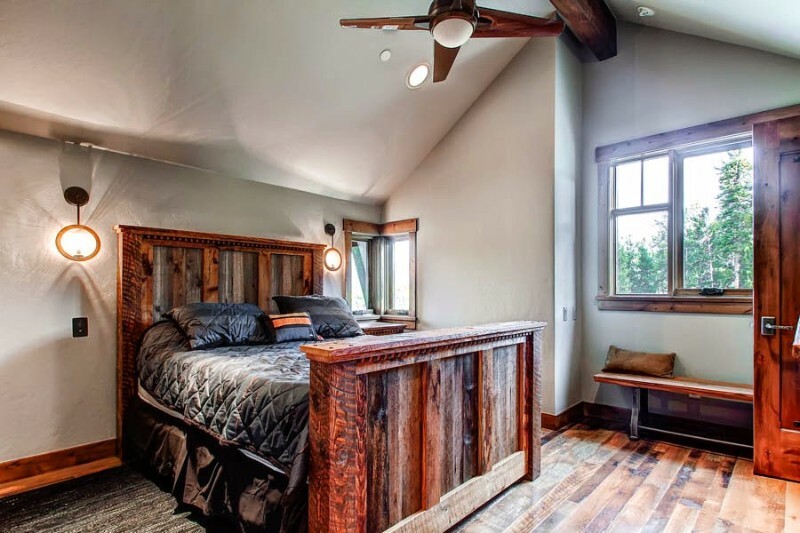 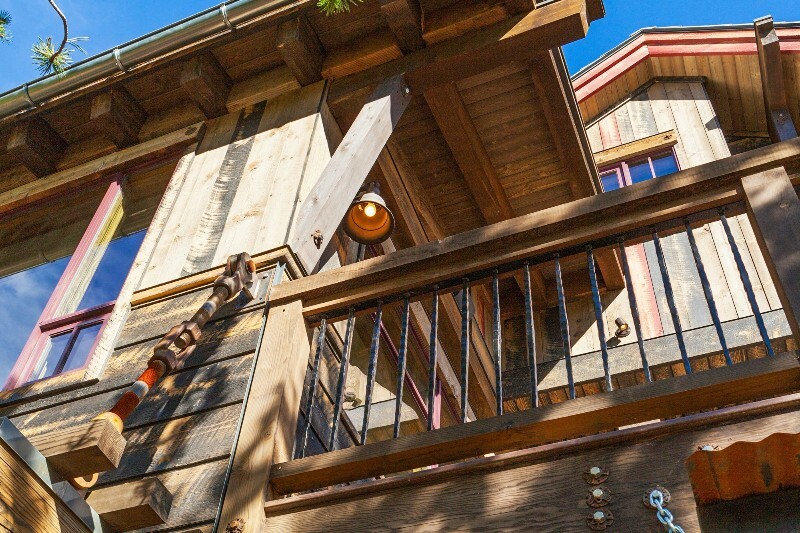 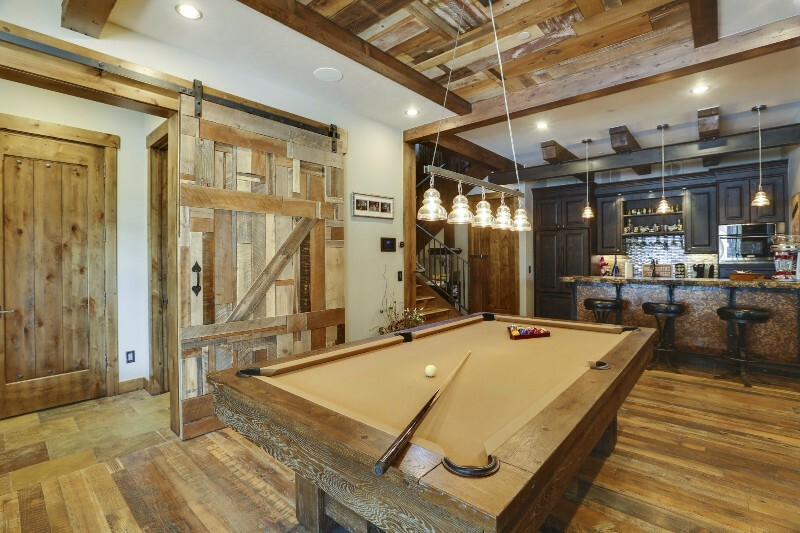 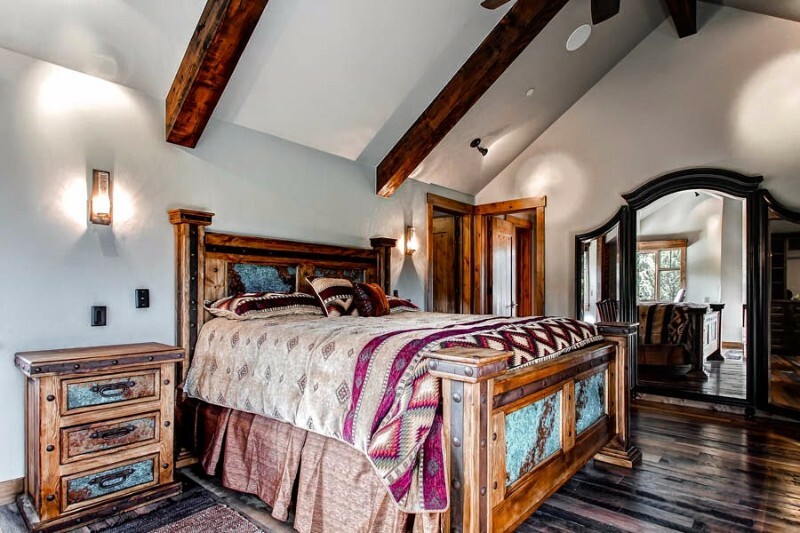 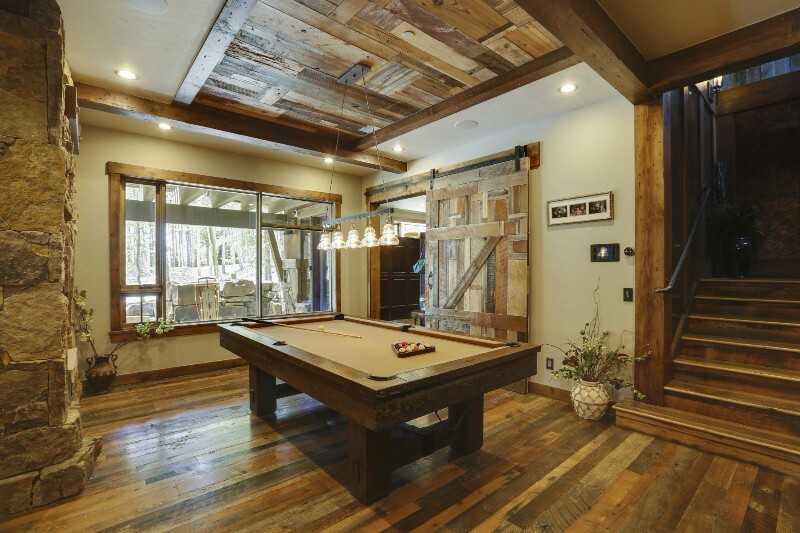 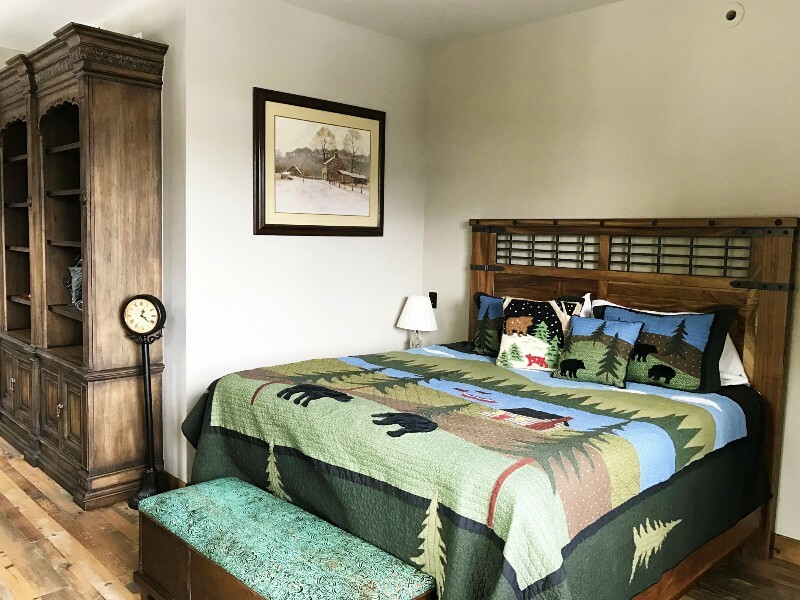 Every room reflects the mining history of Breckenridge and there are unique touches throughout like reclaimed barn wood, banisters made from recycled ski lift cable, forged copper accents, and handmade doors. 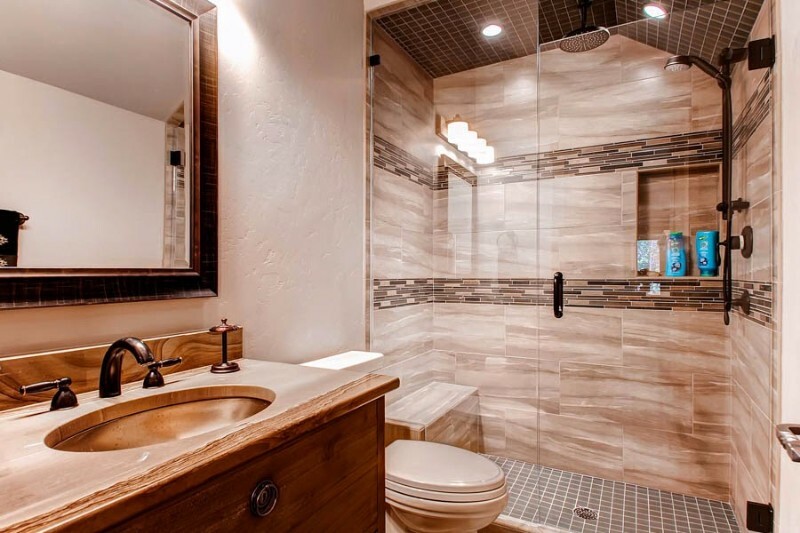 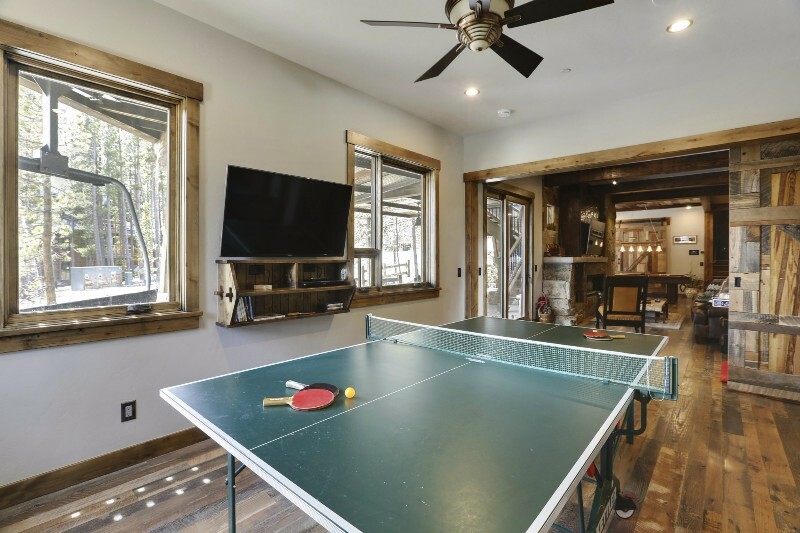 The home boasts a Savant Surround Sound System, Lutron lighting, smart home technology controlled by iPods, a heated three-car garage, two washers and dryers, and a stone patio with a gas fire pit and private out door hot tub. 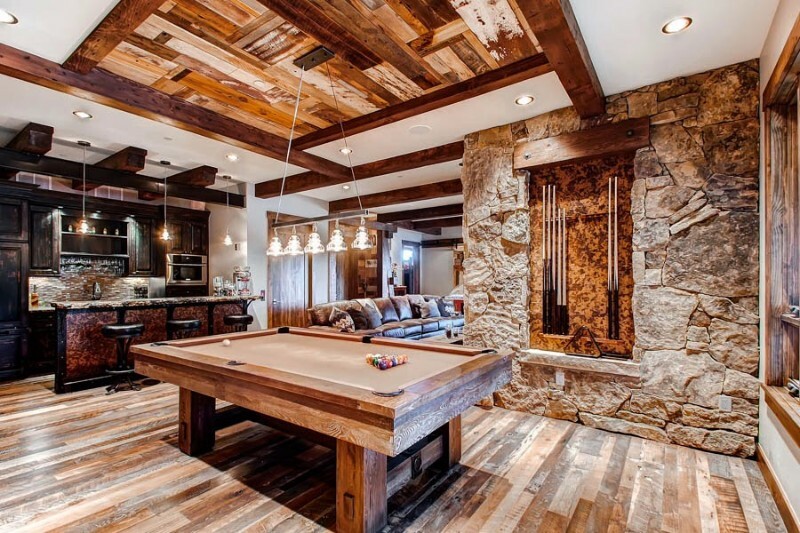 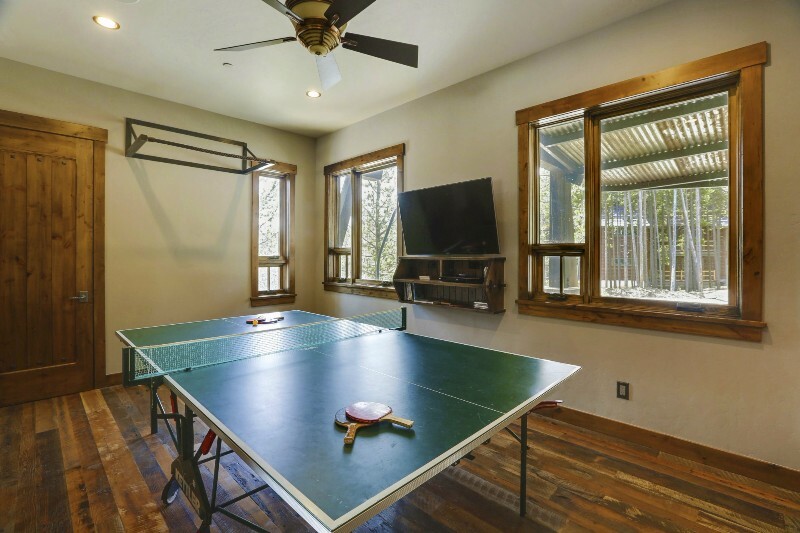 If you’re in the mood for some recreation, you’ll love the game room that includes pool and ping pong tables. 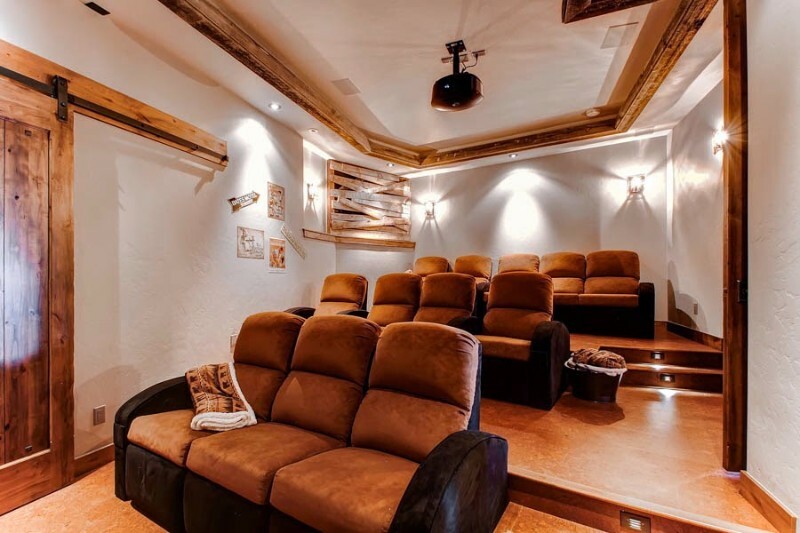 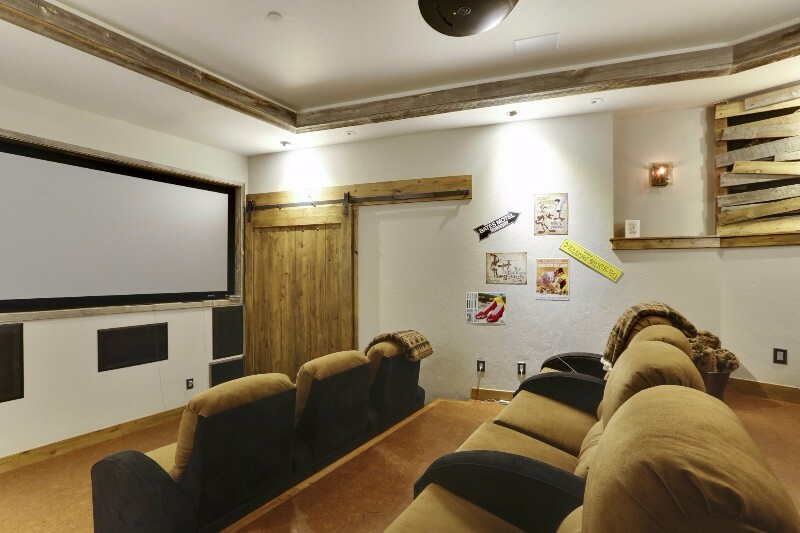 Movie lovers will delight in the home theater that features recliners for 12 and specialty acoustics. 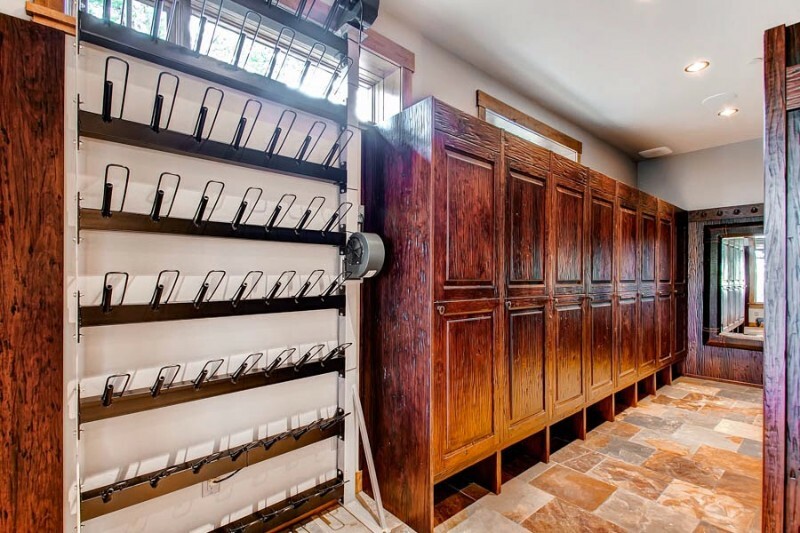 The ski room has 15 ski lockers and boot warmers for up to 28 pairs of boots. 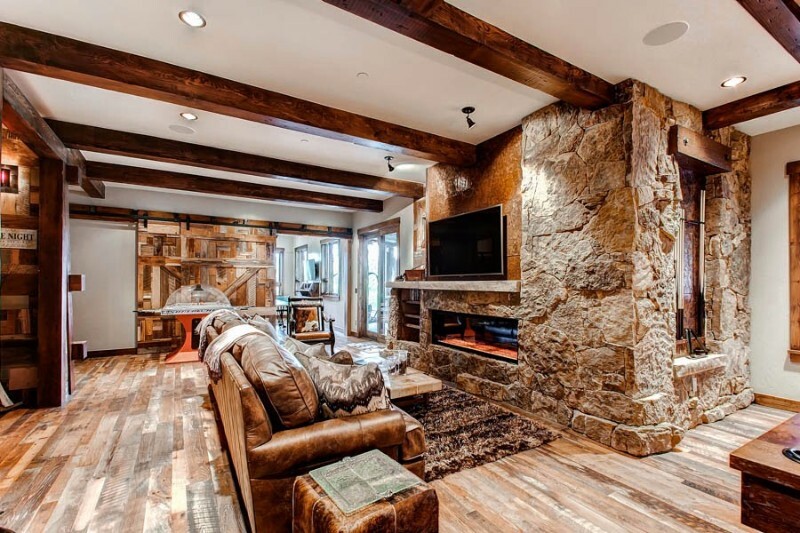 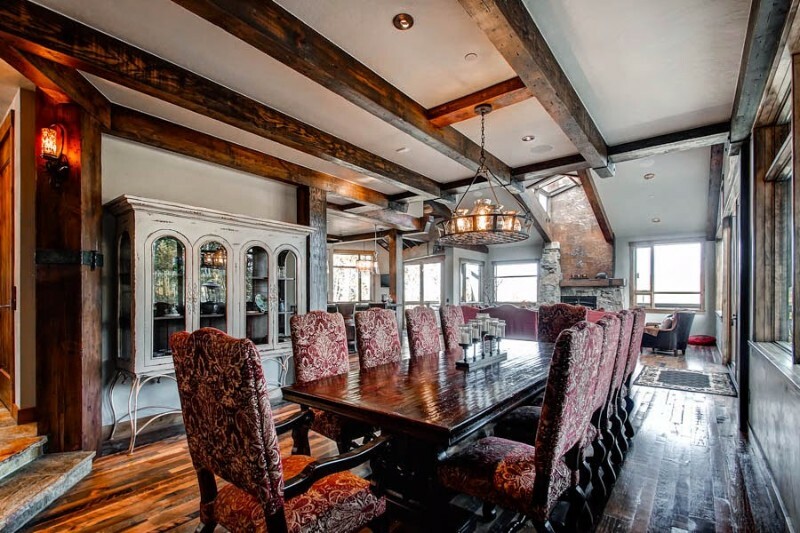 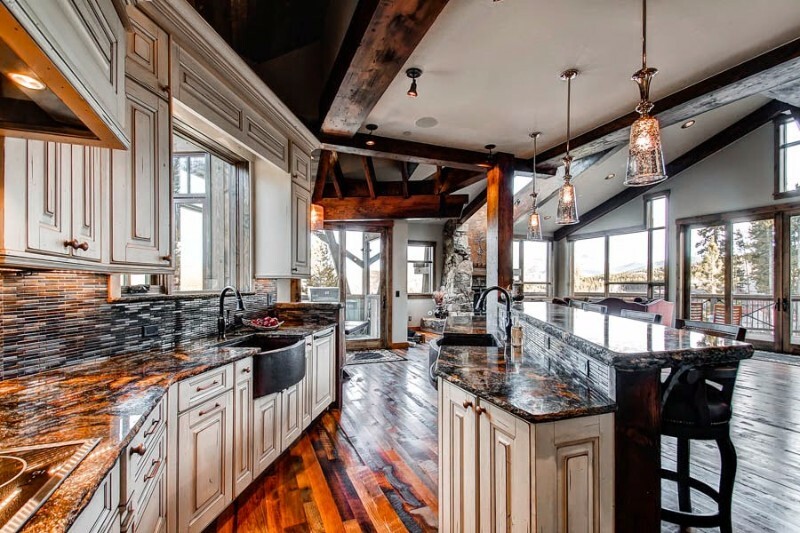 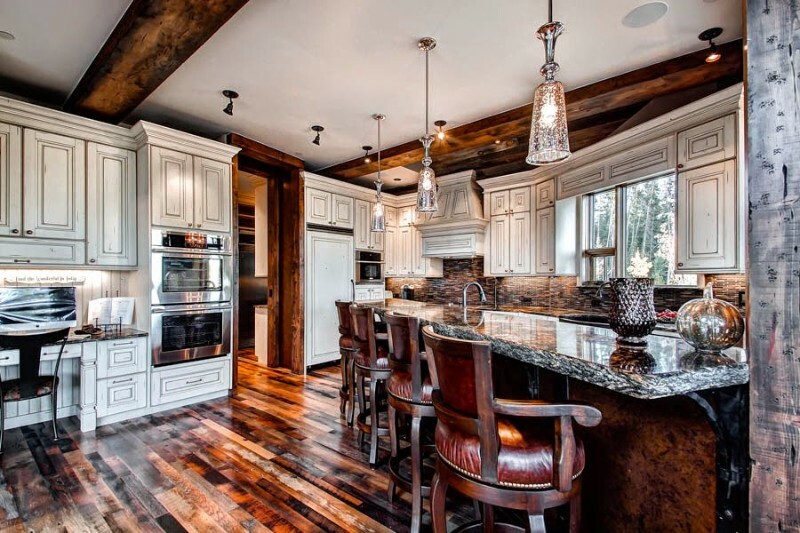 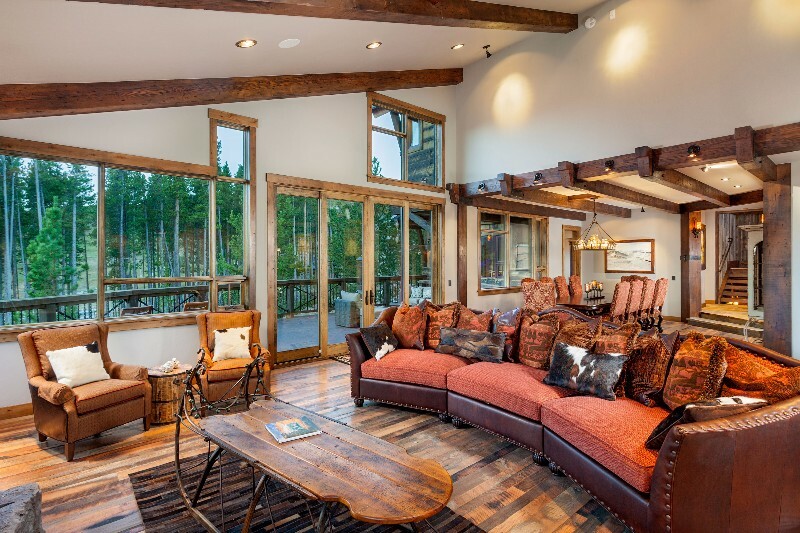 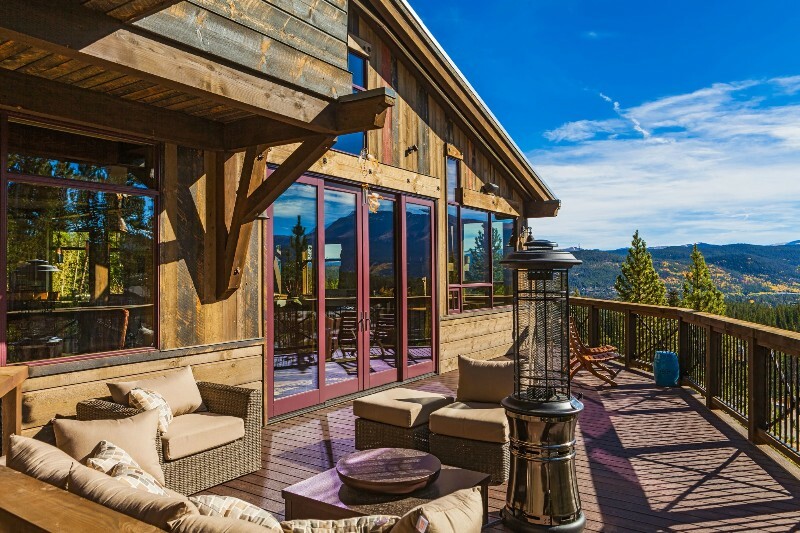 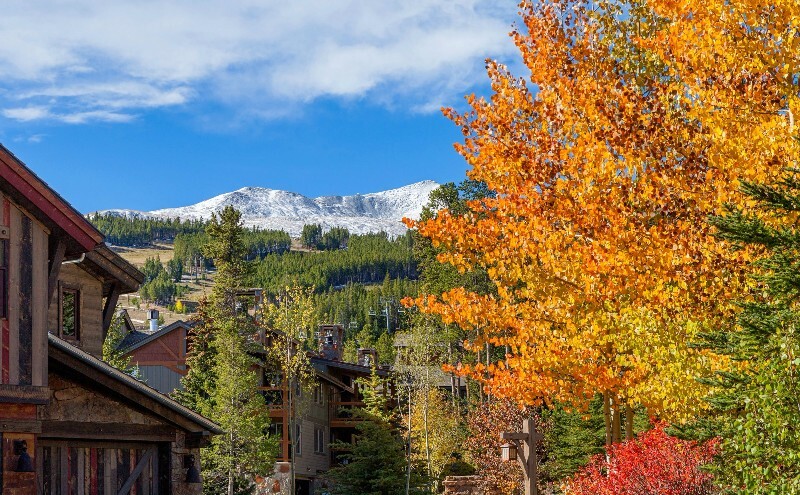 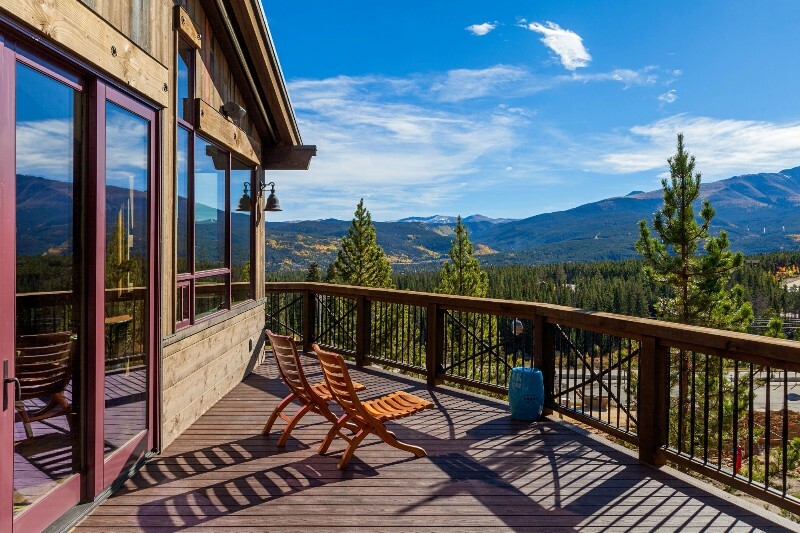 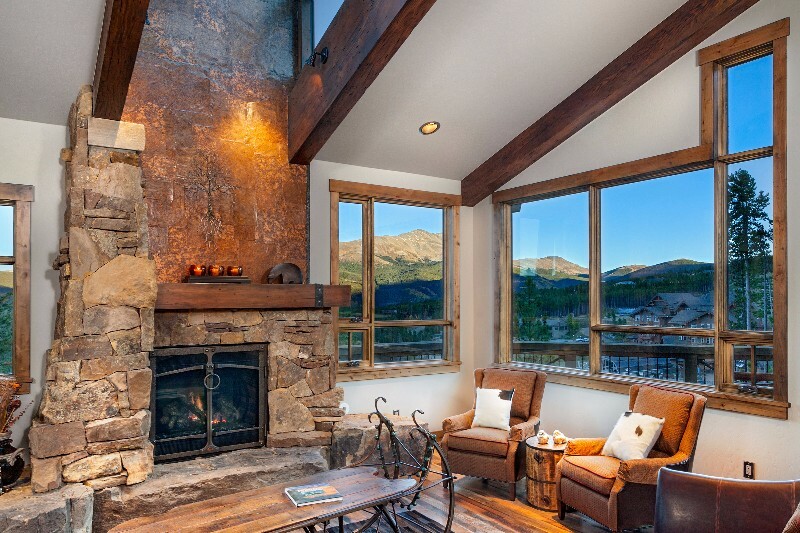 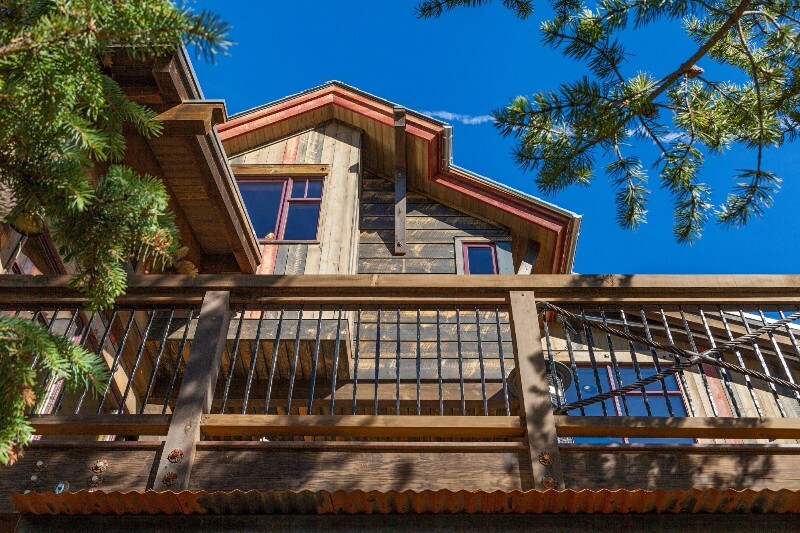 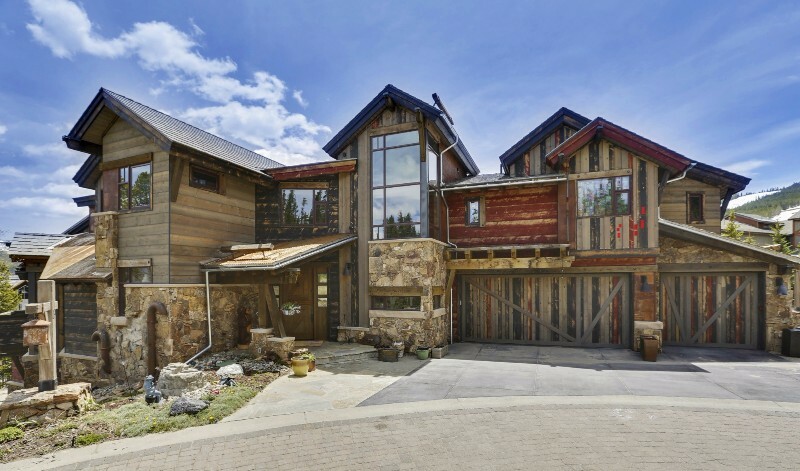 If you want to spend your Breckenridge vacation in a breathtaking home with top of the line finishes as well as picturesque views, this is the home for you!